WASHINGTON, Jan. 27 (Xinhua) -- More than six in 10 U.S. citizens believe their country is heading in the wrong direction, while nearly seven in 10 gave negative opinions on the state of the country, a poll found Sunday. The poll, released by NBC News/Wall Street Journal, showed that 63 percent of respondents said the United States is heading off on the wrong track, while 28 percent say the opposite. Records showed that the percentage of people who believe the country in the right direction is the lowest since July 2016. When asked how the state of the United States should be described today, 68 percent of respondents gave negative words and phrases, the most common ones include "wrong track", "disaster/hard times", "parties undermining each other/no compromise." The poll, which was conducted before the White House struck a deal with the Democratic Party to reopen the government, showed that public opinion on U.S. President Donald Trump had remained largely stable. It is unclear if agreeing to reopen the government without extracting border wall funding from Congress had damaged his support among his base voters. The U.S. government just came out of its longest shutdown in history, which was caused by a deep partisan divide on immigration policies and if a wall between the United States and Mexico should be built. 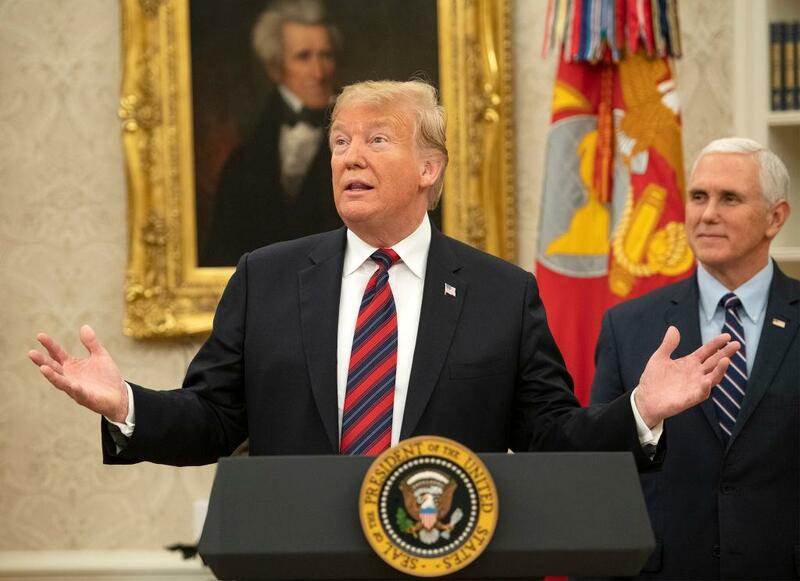 Trump, supported by many in the Republican Party, believes that a wall would be useful in curbing the flow of illegal immigrants entering the country, while the Democrats strongly opposed the measure. After about five weeks of government shutdown, Trump agreed to fund the government for three weeks to allow time for both sides to agree on a border security deal. He has threatened to shut down the government again if talks fail. The tumultuous political environment was reflected in the recent poll, said Peter Hart, a pollster who participated in making the poll. "Times are grim, the shutdown is front and center," he said.